NEW! 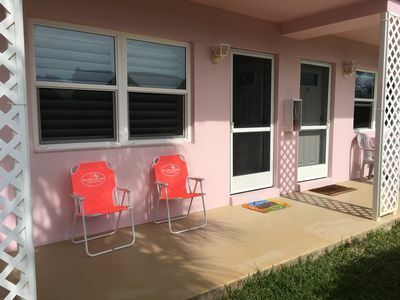 Canalfront House 2 Blocks to Tigertail Beach! 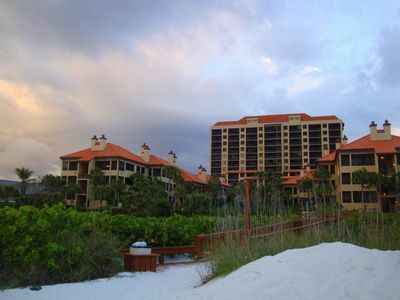 Gather your family for a Marco Island adventure they won’t soon forget! Located at the end of a canal, with waterfront views from almost every room, this 2,450-square-foot vacation rental is designed to impress. 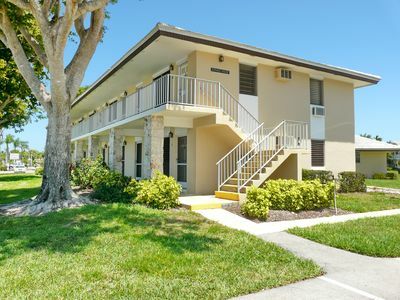 When you’re not taking advantage of your private pool and backyard oasis, walk 2 blocks down to Tigertail Beach or cruise 2 miles up to the waterfront hosting an array of shops and cafes. 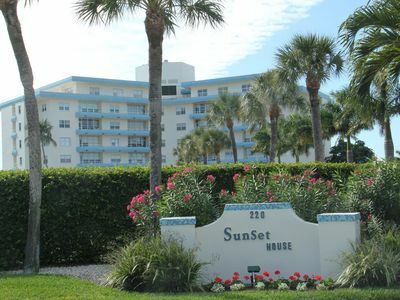 Fall in love with the Florida lifestyle when you book this 3-bedroom, 3-bath beach home for 8! 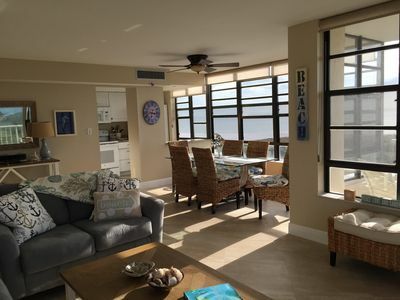 Whether you’re cooking in the kitchen or relaxing in the great room, the views from this Marco Island manor won’t disappoint! 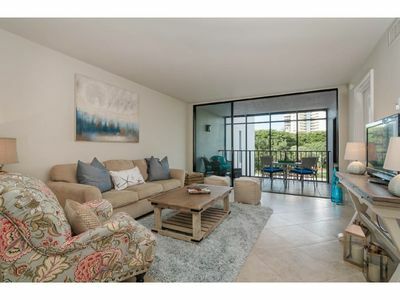 Floor-to-ceiling windows beautifully showcase the palm tree-lined canal, beckoning you to the waterfront backyard. 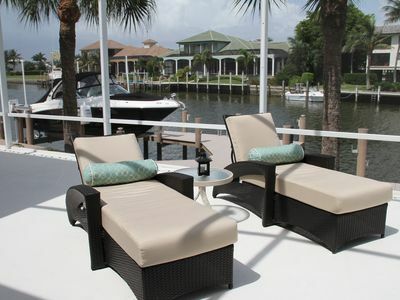 Watch the boats pass by as you swim laps in the private pool or cookout on the gas grill. When it’s time to eat, both the indoor and outdoor dining spaces offer unobstructed views of the water. 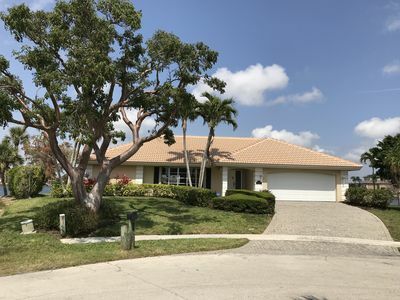 If you’re just looking to grab a quick bite, the fully equipped kitchen comes complete with a table that seats 8 and a large island and bar with seating for 4. 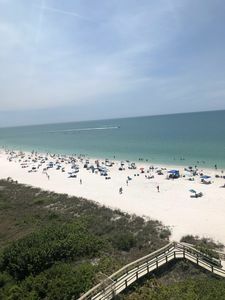 Follow long days at Tigertail Beach with a dip in the hot tub, while those traveling with work set up shop in the office. Before bed, bring the whole crew together for a movie night in the open living area, housing a sizable sectional sofa and mounted flat-screen TV with a Sonos Soundbar system with additional speakers in Master and one bedroom. Come nighttime, everyone is ensured a good night’s sleep in one of 3 private bedrooms, all of which contain flat-screen TVs. Get a taste of the sweet life in the master bedroom with expansive water views, boasting a king bed, patio access and an impressive en-suite bathroom with 2 vanities and a spacious walk-in shower and large walk-in closet. 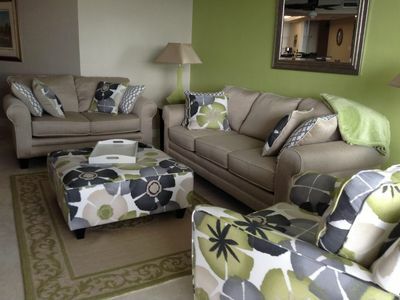 Additionally, if someone would like to watch a different show, they can use the large flat-screen TV in the Study. 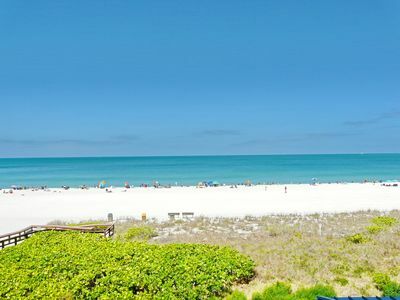 Soak up some sun and comb for shells along the shores of Tigertail Beach, only 2 blocks from your home base! Famed for its shorebirds and tidal lagoon, this beautiful beach is your one-stop-shop for wildlife watching and seashell hunting. 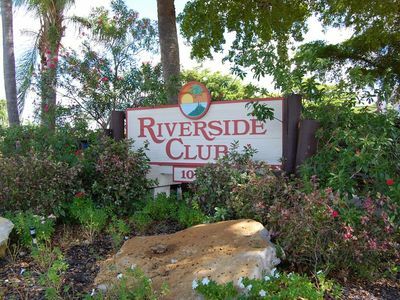 Find all of your shopping and dining needs about 2 miles away along the waterfront. If you’re in need of a little retail therapy, drive 1.5 miles to the Esplanade Shoppes, a charming Italian-style village on Smokehouse Bay. 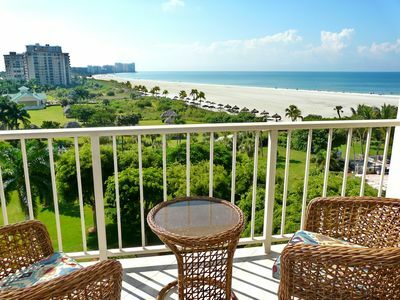 For a change of scenery, pile in the car and venture 20 miles up the coast to explore Naples, hosting a historic downtown area and world-class shopping scene. 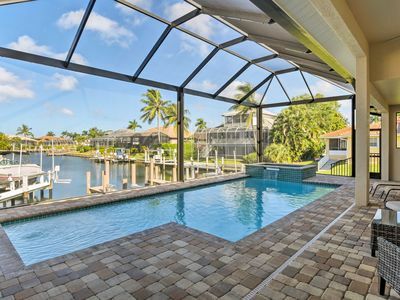 With the canal as your backyard and all of Marco Island within arm’s reach, this vacation rental is the perfect spot for your next Sunshine State retreat! 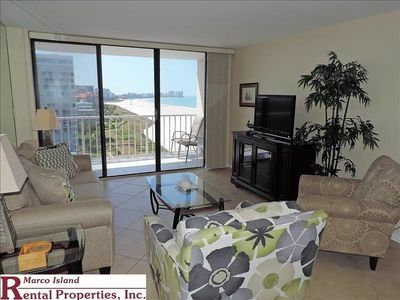 Gorgeous Luxury Condo in the Belize building of the Elegant Cape Marco complex!! 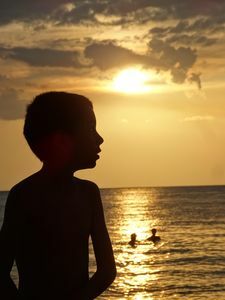 NOWS THE TIME TO PLAN YOUR SUMMER VACATION TO MARCO! COME VISIT US! It's all about the view! 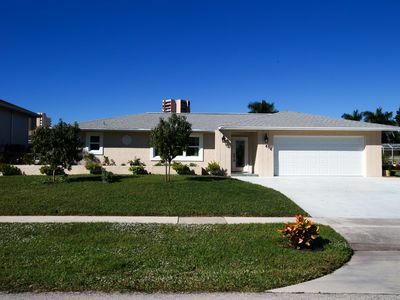 Beautiful 3 bedroom home with wide water views! 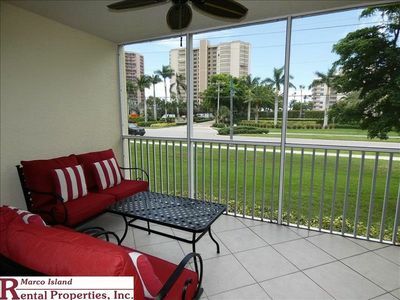 South Seas T3-1509; What a view from both bedrooms and livingroom in this condo! JUST MARKED DOWN! Coastal Cottage APRIL & MAY NOW OPEN! 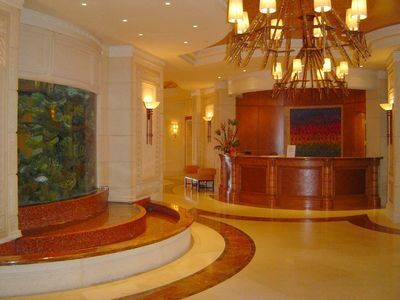 WATERFRONT CONDO - BRAND NEW RENOVATIONS - IMMACULATE! !